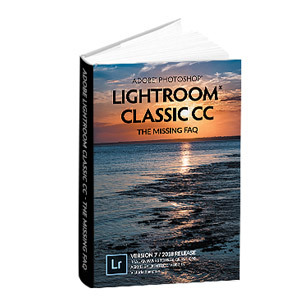 What's New in this Lightroom Release > Lightroom Classic Updates > What’s new in Lightroom 5.3 RC? What’s new in Lightroom 5.3 RC? Lightroom 5.3 is now available as a release candidate on Adobe Labs. That means it has been tested, but they may make further tweaks before the final release, so it’s not being sent out to everyone over the automatic updates quite yet. Feather of clone spots is set to 0 after upgrading catalog to Lightroom 5. Incorrect photos are displayed after switching away from a Publish Collection. Issues when upgrading catalog from previous versions of Lightroom. Auto White Balance settings are not saved to Snapshots. Sony 18-55mm lens is detected as the Hasselblad 18-55mm lens for lens correction. Increased Update Spot Removal history steps when in Before and After view. Slideshows start playing automatically even when the Manual Slideshow option is enabled. Video playback stops when dragging on the scrubber. Errors when publishing photos to Flickr through the Publish Service. Option + drag on Edit Pin behavior is functioning incorrectly. Black border appears around the exported slideshow video. Shift-double-clicking on the Whites and Blacks sliders now calculates those slider values based on the current crop and any other existing Develop settings. Shift+double-clicking on the Temp or Tint slider label now sets each to its Auto WB value. Shift+double-clicking on the WB label will set both the Temp & Tint sliders to their auto White Balance settings and the WB menu to “Auto”. As before, double-clicking without the Shift key resets the slider to its default value. Unfortunately this has now broken my Publish to Flickr service, which is strange as I thought it was supposed to fix other issues with this service. What’s broken about it Dave? Can’t authorize? Or an error message? No error messages, it just sits there trying to upload but never manages to do it. I’ve not left it to see what happen but after 5 mins I thought that was long enough. I haven’t tried re authorising yet, maybe that will help. I see the mark as up to date issue is still there for all publish services (where you have to select it twice). I’d just hold on for a bit. It might be that Flickr’s servers are having trouble. I haven’t seen any other reports, except someone on Elements having trouble uploading a few hours ago. Thanks Victoria. I’m not going to be using it tonight but exporting to my HDD and uploading via a web browser works perfectly, so I’m not sure it is Flickr. I’ll have another try in the morning (I’m in the UK). Yes and no. Yes, i can upload images to Flickr, but 3 at 1280px on the longest edge took almost 10mins. Facebook took less than 30 secs with the same images. So, its working but too slow to really use, unlike 5.2 whcih was issues free. It’ll be interesting to see if the slowness continues. If the servers had been down, perhaps lots of people then started uploading when it came alive again. It could, of course, be a nice bug in the Flickr plug-in! Still nothing has changed, and in fact im getting more time outs than ever now. Ill give it a try on another PC at work tomorrow. Im happy to think its specific to my PC but that really doesnt help me much. Right, i figured it out. For some reason (and this was not my doing) the Publish service for Flickr was outputting the images at 40,000 pixels on the long edge. No wonder it was taking so long. Now i dont know how this happened, as i definitly had it set to 1280px before the update, but it does seem that this was the cause of my issues. How very strange!!! Great job narrowing it down. “Feather of clone spots is set to 0 after upgrading catalog to Lightroom 5.”. Does the fix mean that the error will be “undone” in an image that is already on a 5.2 catalog, or simply that the original conversion error has been fixed? Any pre-5.2 clone spots should be automatically fixed in 5.3, as long as you haven’t manually changed them since that 5.2 upgrade. Excellent news. I hadn’t even noticed this problem until I saw the item on the list of fixes yesterday. I probably have hundreds of affected images. One thing, what constitutes a manual change? I.e. is that just changes to the image, or does it include changes to metadata? If you hadn’t spotted them, then you’re probably fine! As far as I know, it only applies to Develop changes – and possibly even to the spots themselves. Unfortunately I’m not fine. I meant I hadn’t realised there was an issue. But when I saw the issue on the list I checked some images which would have gone through the conversion (and I have 15,000+). I was not amused to find the error on those I checked. For me this is a major issue. Let me check up on that for you. Hi AE, just checking, are you viewing the photos in Library or Develop when you’re checking them? I should just clarify, I haven’t applied the 5.3 RC yet. I’m just after reassurance that the issue will be resolved. Ah! I misunderstood. Yes, it’ll be resolved. Any previews that currently show hard edged spots may not automatically update the previews, but when you switch to Develop, they’ll magically fix themselves. In lightroom 5.3RC, new folders in the library show up once on import, then disappear. If I try to import again they show as already being there, but won’t show up in the library. Any suggestions? Hi Mandy. I quite can’t visualise this yet. How are these new folders created, and where are they showing up in import – in the Source panel on the left, or in the Destination panel on the right (perhaps in italics?) Or are these folders of photos you’re trying to import, that perhaps come up with an error message when you import? How do I move only my photos to another hard drive, leaving the catalog where it is? How do I move Lightroom to a new computer? How do I buy Lightroom? 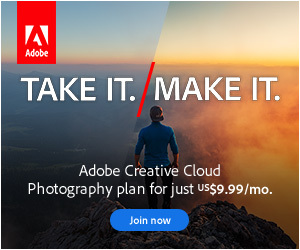 Why doesn’t my Lightroom version support my new camera? Lightroom says my preview cache is corrupted—how do I fix it? How do I assign keywords to my photos?